P.I.E. Analytics Predictive Model - CCNY Inc. The P.I.E. 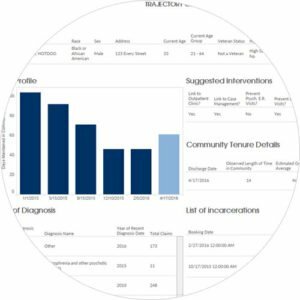 Predictive Model is an actionable software that generates a short list of people at risk of readmission in the next 60 days and identifies interventions that could be used to reduce the likelihood of readmission. Reducing the frequency of inpatient readmissions is an important goal for every practitioner. Understanding why and when someone is likely to be readmitted can help target and improve areas of care that present the most challenges. The ability to tell you when someone will be readmitted to inpatient is what sets the P.I.E. Analytics Predictive Model (PM) apart. The P.I.E. 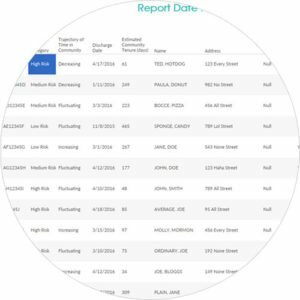 PM uses a risk score system that identifies those at risk of readmission. It creates a dynamic risk score that changes with the use of outpatient services and medications and/or the lack of use of medications and services. In short, the P.I.E. PM identifies whom to target, when to act and how to engage people in avoiding unnecessary hospitalizations. With this information, health plans, providers and payers can identify those most likely to benefit from outreach, engagement and specific services to avoid a costly trip to the ER or inpatient setting. This actionable information promotes timely interventions and creates an opportunity to bend the curve on a member’s clinical risk, improved clinical outcomes and the overall cost of care. Developed over four years with support from and in partnership with the Erie County Department of Mental Health, P.I.E. PM stands alone in its view of high risk/high cost individuals. By using their own practice models, payers and systems of care can improve clinical outcomes for individuals and enhance metrics related to financial risk and value-based payments. P.I.E. PM predicts who needs support and when, suggests interventions to improve clinical outcomes and the ongoing information to enhance overall performance in models involving value based payments or financial risk. Multiple validation studies have been conducted to test the accuracy and specificity of the model and its impact on a client’s length of time in the community between admissions.